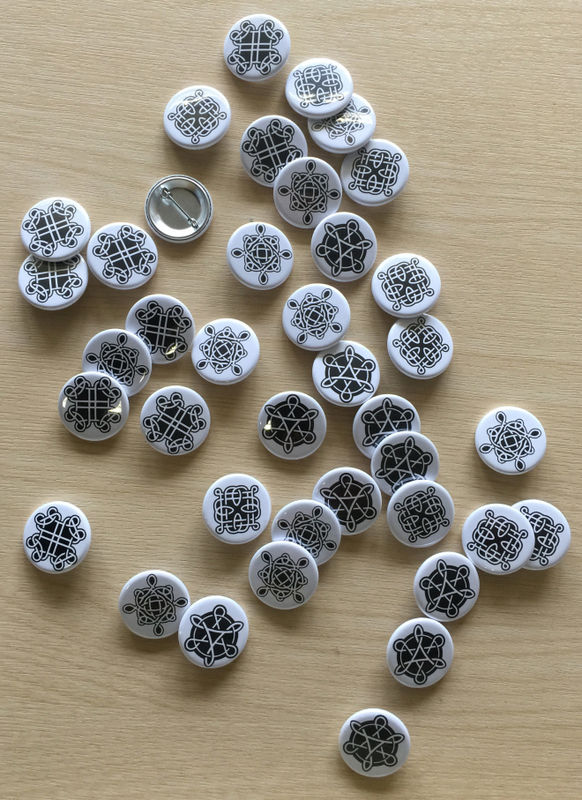 Need a momento…? What to see what Carolan has been up to? How might you keep in touch with Carolan once it has passed on to someone else? We launch our Summer collection of Carolan accessories. Like the guitar itself, they are decorated with celtic knotwork that can be scanned to link to Carolan’s growing history. The perfect memento? 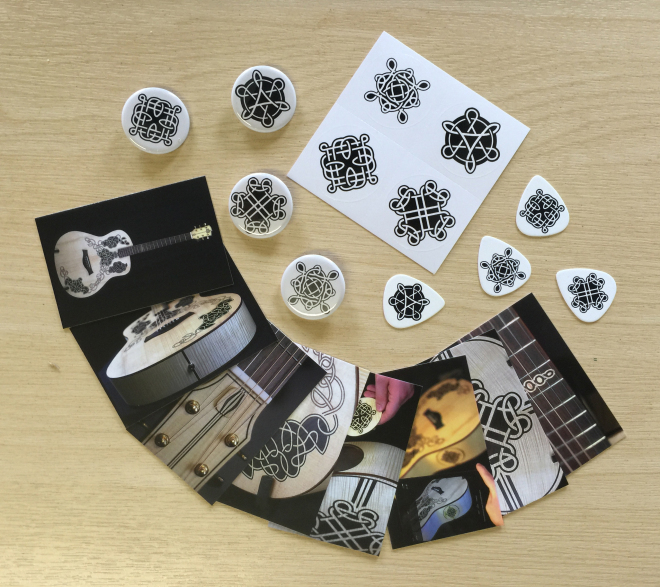 Plectrums are a useful accessory; stickers are a popuar way of personalising instrument cases to help you recognise your own at a crowded gig or session; it’s always good to leave a calling card; and button badges remain the coolest way to display your musical allegiance. We’d love to hear your ideas for interesting and perhaps more personal artefacts that we can decorate with Carolan’s knotwork. Perhaps you’d even like to send us a valued object of your own that we can try out in our laser cutter? Anyone got a spare Uke hanging around? Or maybe a vintage Martin D-28 that needs some new life breathing into it?